Microsoft's director of program management, Windows Enterprise and Security Rob Lefferts, highlighted security related changes and improvements coming to the Windows 10 Creators Update due out in March 2017 recently in a blog post. Microsoft focused on consumers for the most part when it revealed the Windows 10 Creators Update a couple of weeks ago. This time, it focuses on what the future update for Windows 10 will bring to IT departments and the Enterprise, and here specifically IT security. This does not mean that consumer editions of Windows 10 won't receive any security updates or features. The focus of the announcement however is Enterprise, and as such describes features that are limited to Enterprise customers for the most part. 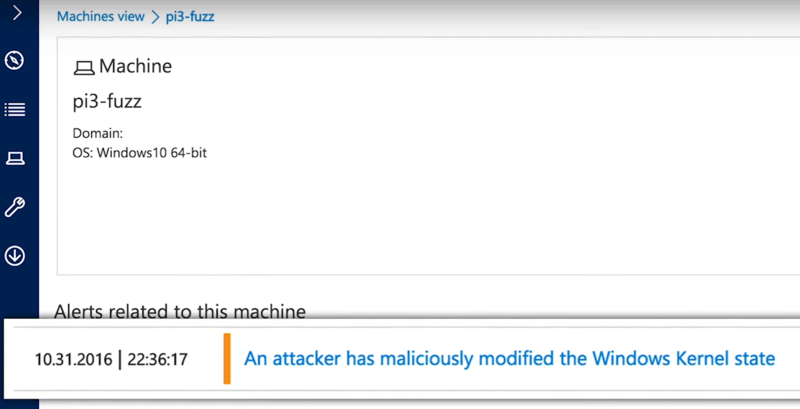 The Windows Security Center portal, released in the Anniversary Update, integrates Office 365 Advanced Threat Protection through the Microsoft Intelligent Security Graph. Enriched Detection to cover threats that persist only in memory or kernel level exploits. Enriched Intelligence to integrate custom indicators for alerts. Enhanced Remediation that allow IT administrators to "isolate machines, collect forensic evidence, kill and clean running processes, and quarantine or block files" with a single click in Windows Security Center. Additional resources are added to the Windows Analytics dashboard. This enables organizations to use their own telemetry data "to provide new insights". In-place UEFI conversion. Microsoft plans to release a simple conversion tool that is integrated in the System Center Configuration Manager as part of the Windows 7 to 10 in-place upgrade process. Mobile application management. A new option to protect data on personal devices without enrolling devices in a mobile device management solution. "As employees use their own devices at work more and more, we are providing IT with oversight to apply policies to the applications employees use to be productive." Windows as a service. Differential downloads are coming for mobile and PC devices to reduce the size of updates by approximately 35% according to Microsoft. System Center Configuration Manager express updates will be reduced by up to 90% as well. It is still too early to judge the features, but from the looks of it, they may improve IT administration quite a bit when it comes to security. You can check out the blog post for additional information and links that direct you to resources covering some of the mentioned products. The article provides you with a list of security features and updates coming to Enterprise customers in Windows 10's Creators Update. well this will only work using ondrive and beeing online.